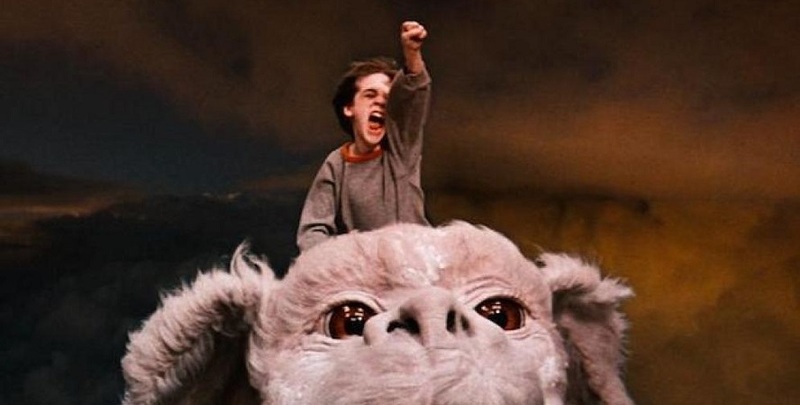 The Neverending Story is a film I’ve often heard or been told about in the various circles I move through but never actually got around to watching it of my own accord. It was to my delight that I saw that the good folks at In the House would be screening it as part of this season’s line-up. So I got a hold of my nearest friendly luck dragon and rode on down to George Street cinemas for their screening of the children’s classic. Our MCs for the evening were David ‘Quinny’ Quinn and Anthony Kieran who spoke a bit about some of the trivia behind the film we were about to watch. An interesting piece of trivia that Quinny mentioned was that Alan Oppenheimer, who voices a number of characters in this film (some uncredited), also voiced the character of Skeletor in the Masters of the Universe animated series. The film holds a special place in Quinny’s heart especially and it was cute to see that he had brought a plush toy of Falkor the luck dragon to the screening with him. It’s always a pleasure to see people who are unremittingly passionate and happy about a film or other media and I’m glad that In The House works to foster and share that passion with it’s cinemagoing audience. Our story follows a shy bookworm named Bastian (Barret Oliver) as he escapes the bullies and tragedy of his real life into the world of books. He happens across a mysterious book which tells the story of the hero, Atreyu (Noah Hathaway), who is on a quest to save the world of Fantasia. Fantasia is being destroyed by a great nothing which is simply swallowing up whole swathes of the world in non-existence and so Atreyu has been tasked by the Fantasia’s Empress to find a way to defeat it. As Bastian reads on and the audience sees more of the story, we begin to learn that there is something a bit unusual about the book and it’s capability to transport it’s reader to another world. 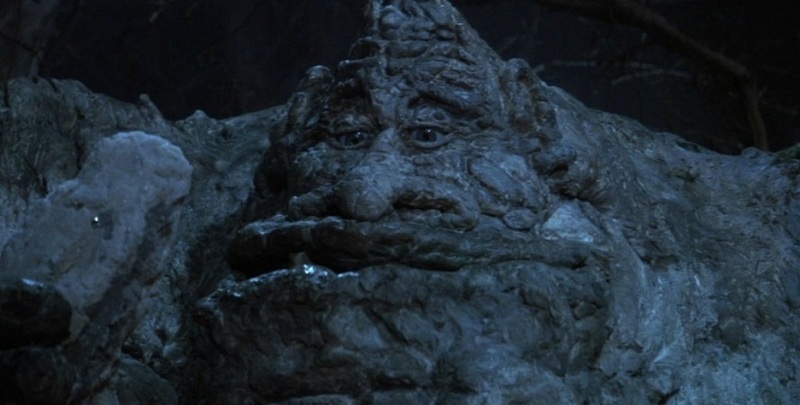 In regards to the performances of the cast, I found there wasn’t too much which stood out beside Alan Oppenheimer. Oppenheimer’s voice work as the Rock Biter, Falkor, and the narrator certainly showcases his emotional range as a voice actor. There’s one scene especially in his performance as the Rock Biter that I found particularly touching and moving. I have a special place in my heart for the melodramatic tragedy which is sometimes found in films made for children and this scene hit me right in the melancholic feels. I also very much appreciate that the story’s narrative follows the episodic structure of classic children’s fairy tales. The adventure itself can be broken up into discrete parts with Atreyu generally needing to go someplace and do or learn something new to advance his goal. The strength of this type of storytelling really rests upon the action itself and I’m glad to say that the narrative is able to draw upon a varied and interesting catalogue to things to keep things interesting even after Atreyu’s quest concludes. It uses this narrative framework to also provide a metafictive commentary on the experience of reading itself with a lot of the action serving as allegory for the experience of reading. This is an element I’m certainly impressed with in a children’s movie especially and I appreciate being given that dimension to enjoy as well. The film’s central thesis would have certainly resonated with many an insecure young child but may fall a bit flat to anyone who approaches this fresh as an adult. I don’t say that this means that the story’s moral of believing in yourself is wrong or that children shouldn’t be told to think well of themselves but I’d argue it’s ultimately a very milquetoast lesson to teach. That isn’t to say that the film doesn’t explore interesting facets within it’s story and there were a few scenes where the character grapples with existential questions and fights nihilism. Perhaps the film was trying to make itself more appealing to children, which isn’t of itself a problem, but I’d be concerned about adults coming to the film and being a tad bit underwhelmed. I think that my enjoyment of the film was stilted somewhat by the fact I am obviously not the target audience for this film. My childhood is long behind me and I eagerly left it behind in my transition to young adulthood. This film was not made for me as an adult and since I was not given the chance to see it in my childhood, I don’t even have the chance to watch it through the lens of nostalgia. So despite everything that I’ve said about this film, I can see why it has such a cult following because if I’d have loved exactly this kind of film when I small nerdy kid; I regret that I didn’t have the opportunity to love this film as much as they do. 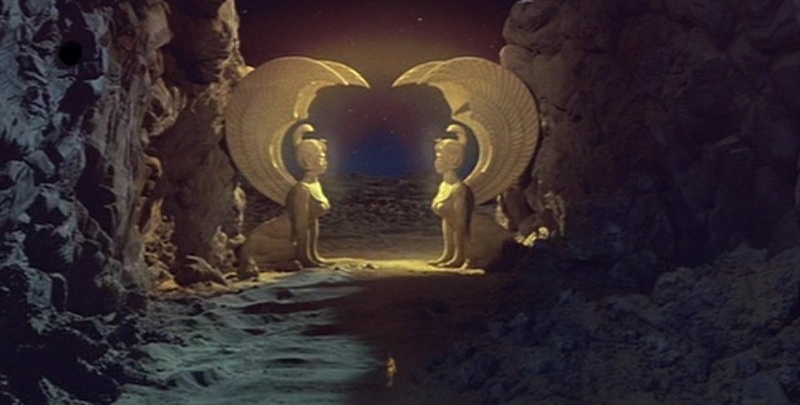 The visual design of much of the film is quite inspired with the creature and set design standing out especially. The sets are almost all unique and interesting in their own ways and certainly work to create images which will set a child’s imagination ablaze with possibility. 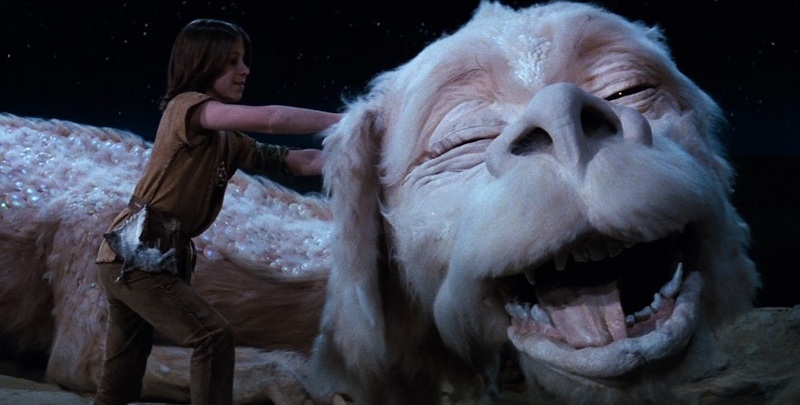 Falkor’s design is a great example of a child-friendly monster which looks like a cross between a puppy and one of the long serpentine Asian dragons from mythology. It’s completely unsurprising that Quinny loved his Falcor toy so much considering how friendly he’s made to look with his big eyes and droopy ears. The film’s soundtrack is largely serviceable but with the film’s main theme being a hammy exception. The theme is a mix of synths, orchestrals and vocals which often works together to provide an upbeat punctuation in the film’s narrative when it’s needed. Most of the other pieces on the soundtrack are straightforward orchestral pieces which don’t leave a noticeable impression beyond the film’s run time. It’s a solid score but, excepting for the main theme, probably won’t be recognisable to you after the film’s credits roll. I ultimately found this film to be a bit underwhelming unfortunately. The story had some great performances and explored a number of interesting concepts but ultimately didn’t reach much of an interesting conclusion. 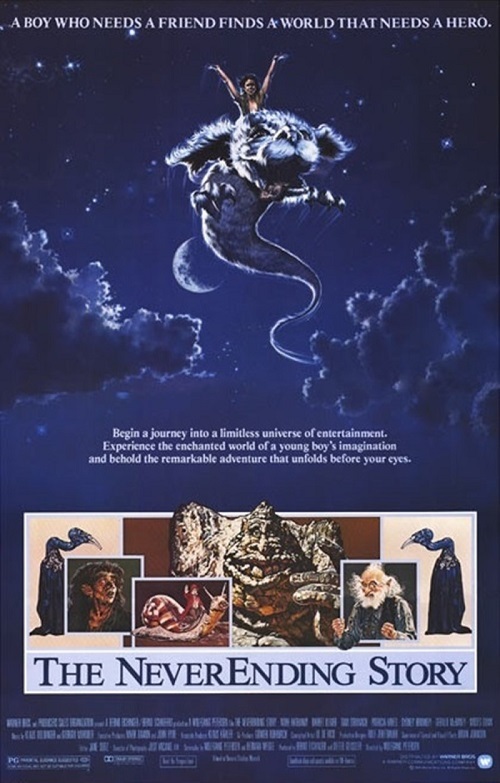 The film features some pretty great visual design for it’s creatures and sets with the loveable Falkor being a particular exemplar. The soundtrack is not much to write home about except for the film’s main theme which is a wonderful tune straight out of the synthy 80s. My recommendation is that you get your kids to watch this film and love it of their own accord as I don’t believe that it will have the same first impression on anyone who has outgrown the innocence of childhood. For other films which In The House is screening, feel free to check out their schedule for the next season here. 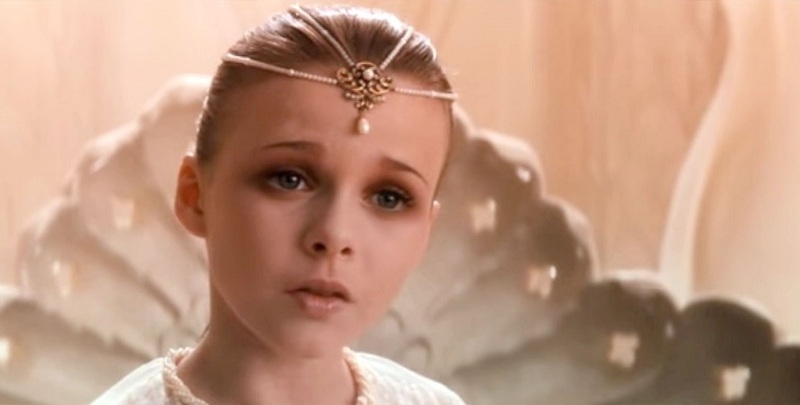 The Neverending Story is a wonderful classic of children's cinema with great appeal for kids and adults who grew up with it.